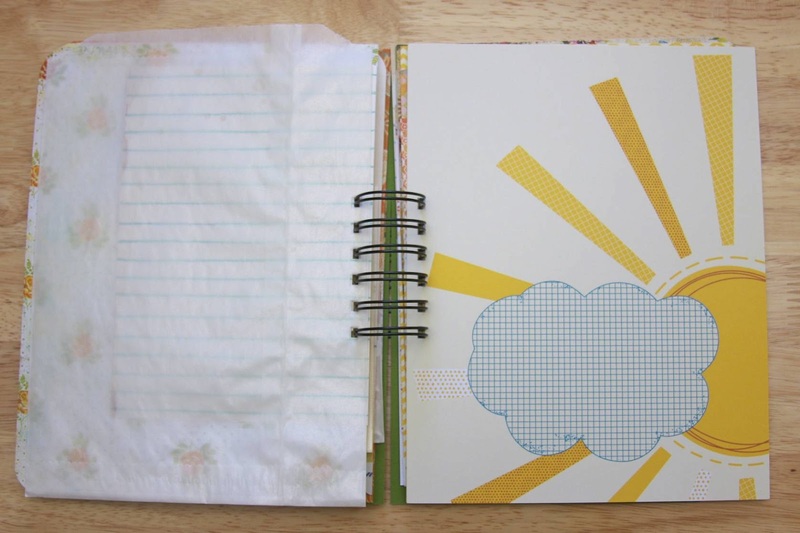 Today marks Week 2 in the monthlong March Mini Madness extravaganza at write.click.scrapbook. In addition to a new mini book each day, you may want to pop over and check out the Gallery as well. 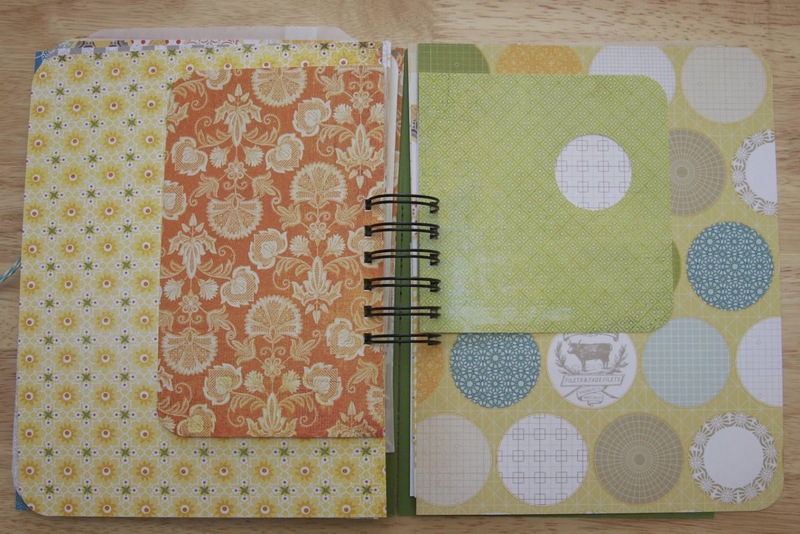 The last time I did a Month in the Life mini book was March 2010. About time for another, don't uyou think? With the papercrafting kit I received from Cocoa Daisy, sponsor for Week One of March Mini Madness at write.click.scrapbook. 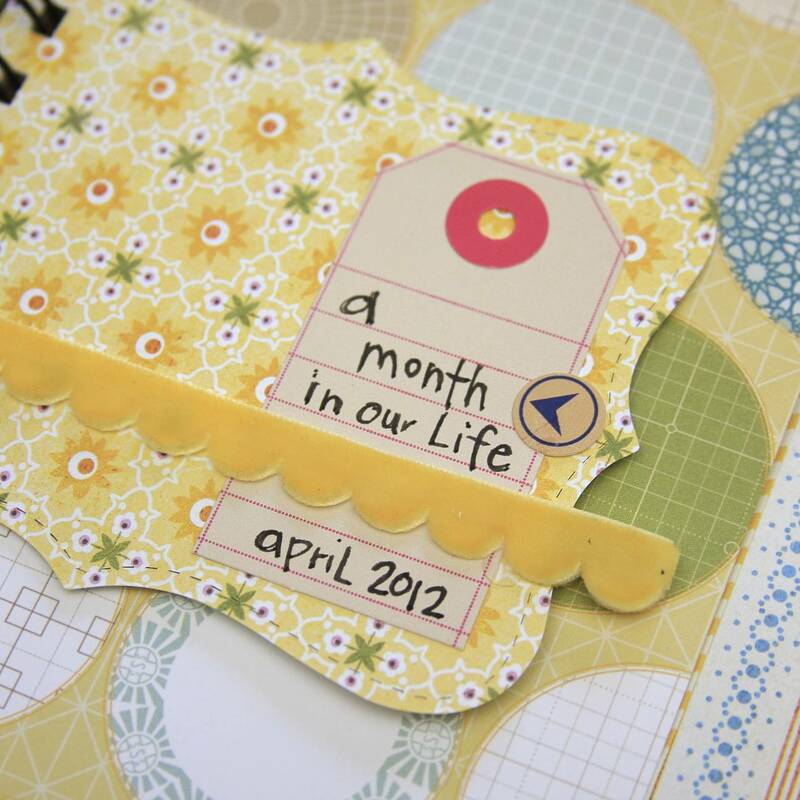 this month, I designed a mini book to use in documenting the story of April 2012...a Month in our Life. I began by trimming a majority of the papers in the kit to 6x9 inches. 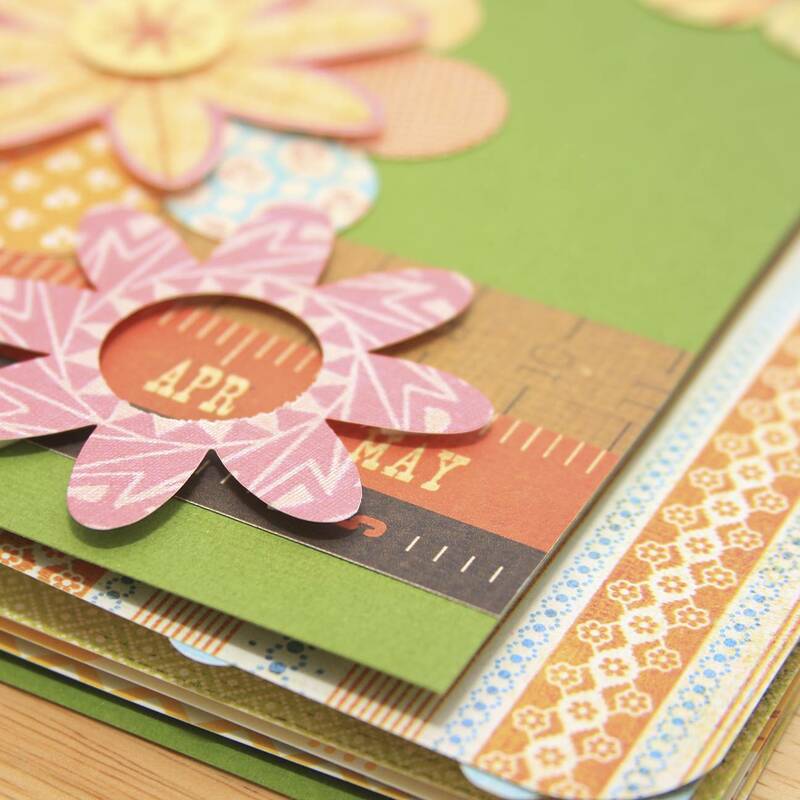 For the cover, I used several flower shapes from Sassafrass and a strip of paper from Simple Stories, highlighting the month of April with a flower die cut that I hole punched, and pop dotted, so that APR would show through. 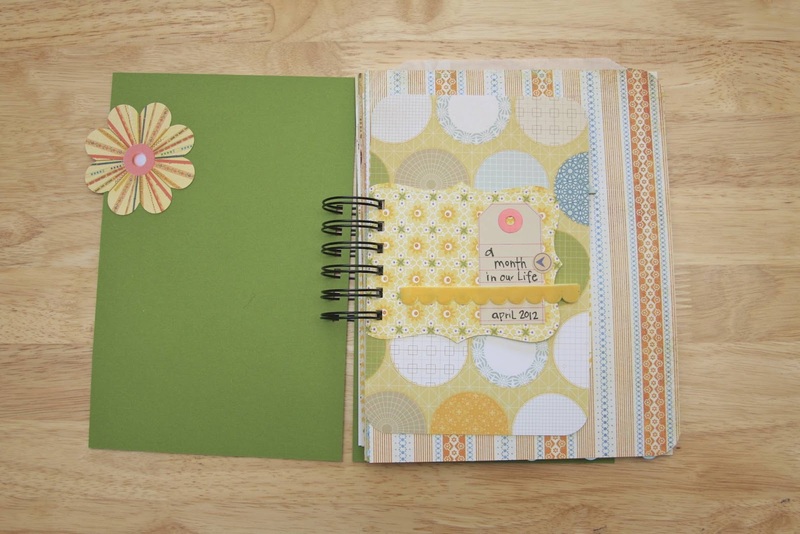 I backed the flower from the front cover with an identical flower on the inside cover and added a die cut shape on the right with the mini book's title. You can see the different layers peeking out and aren't they fab? 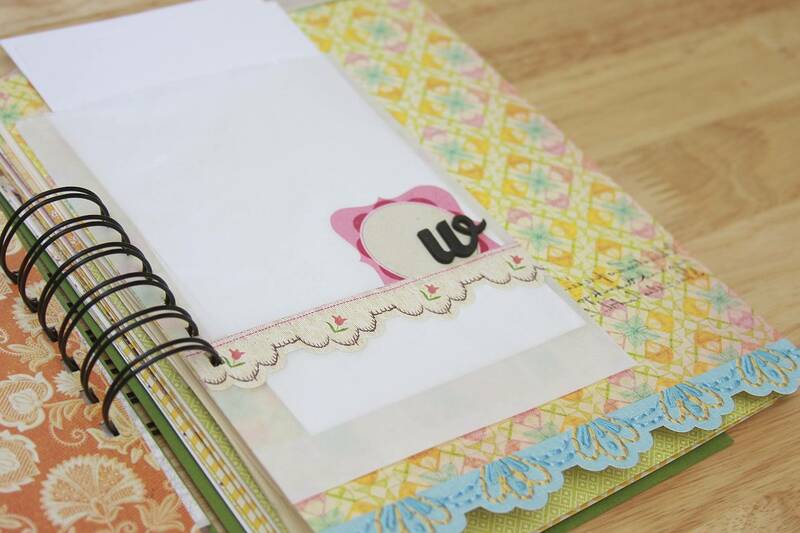 Adding a few chipboard clouds, one pop dotted, and a paper strip that was trimmed from the border strip of another sheet of patterned paper, this page just screams happy to me. Inside the glassine bag, I've added four 4x6 cards trimmed from some cardstock. The scalloped border embellishment was trimmed from the border strip of some Sassafrass paper, the "w" is an American Crafts Thicker that I added to the cardstock sticker. 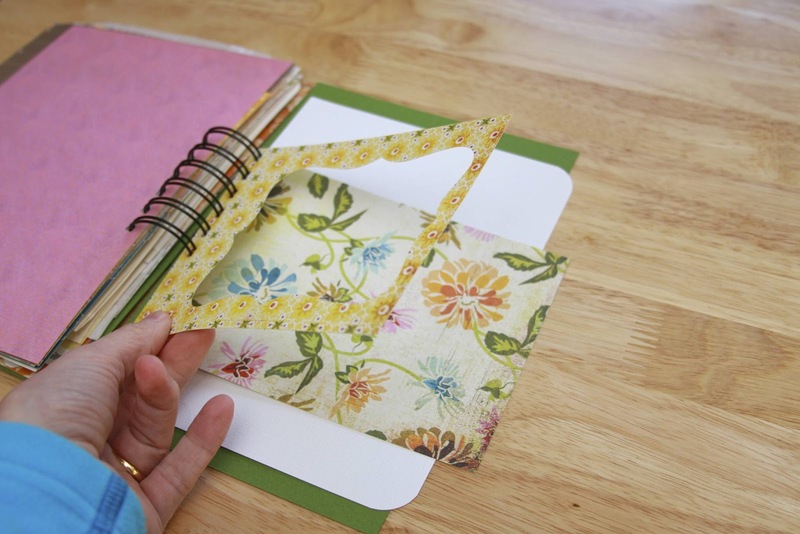 I border punched and folded a sheet of cream AC cardstock to form a pocket folder which has a card from Cocoa Daisy adhered to it. I'll probably use this to house artwork from the girls, you know how Victoria can knock out several masterpieces a day! To the left is a large glassine bag from the shop, while the sunshine paper is from the Amy Tangerine line by American Crafts. 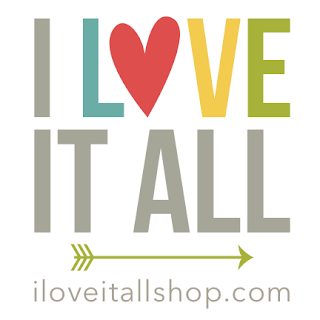 I used part of a Sizzix die, which I received in a The Twinery blog hop and was designed by Eileen Hull, as a tag shape. Thinking I might have something peeking from the orange patterned paper through the hole in the tag. 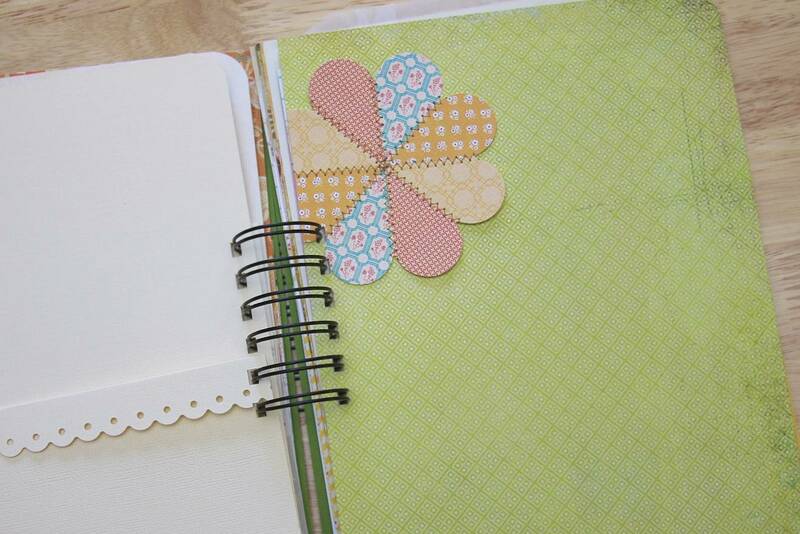 After trimming my pages, I used all the trimmings to create tags and die cuts. 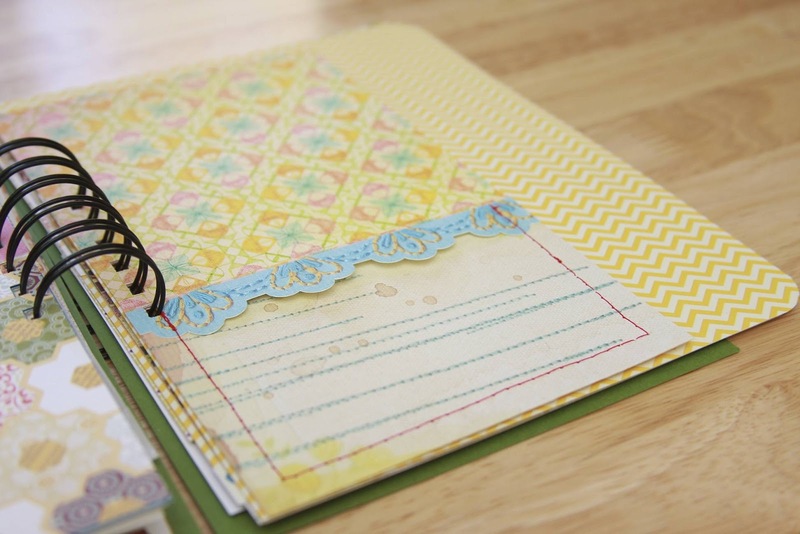 Here, I created a shipping tag, used a Sassafrass cardstock die cut and, of course, some baker's twine from The Twinery, to add yet another layer to my mini book. 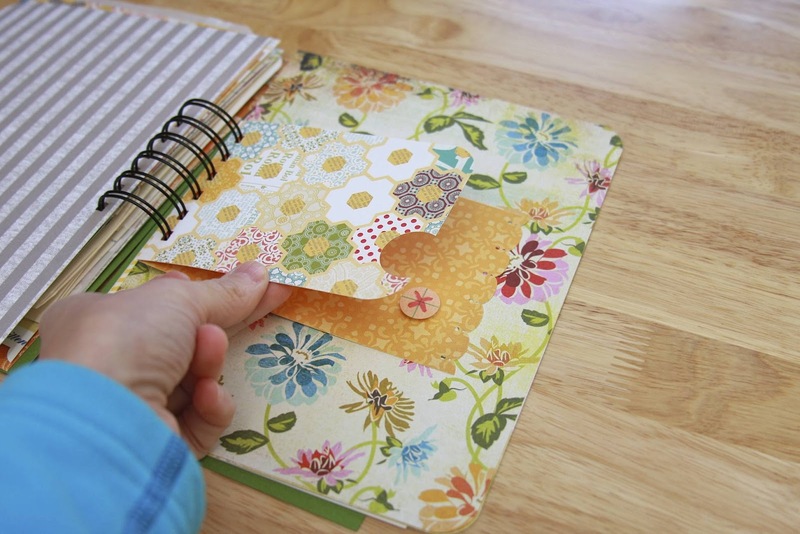 That extra fancy border strip, that is classic Sassafrass, was perfect for this single sided stitched pocket. 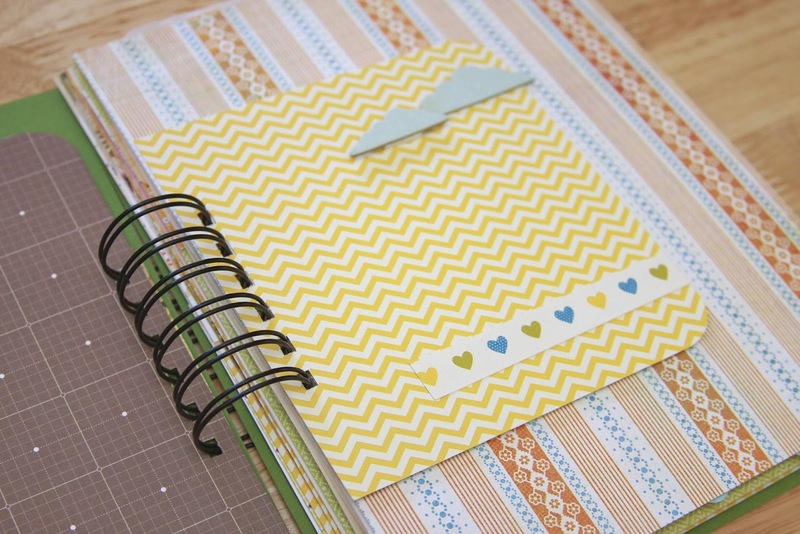 This is a longer piece of cardstock folded over and border punched on the longer edge. 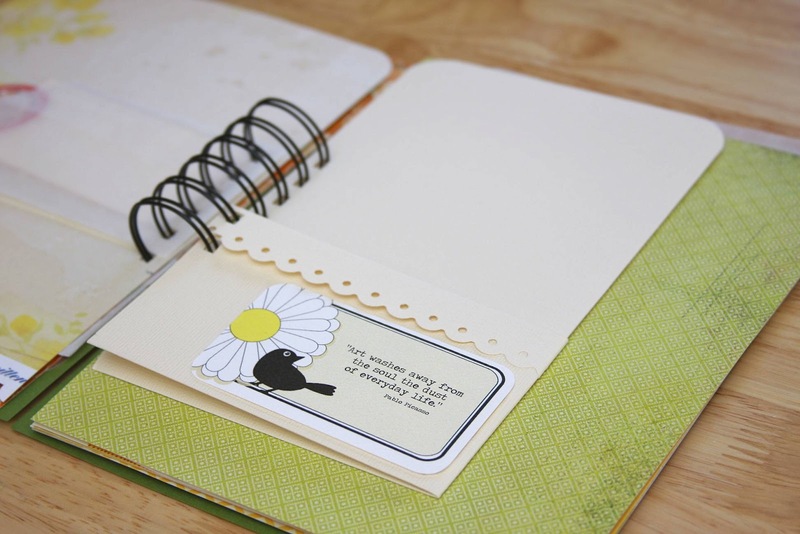 The flap card has rounded corners lead your eye to the circle punched section that is highlighted by the cardstock die cut. 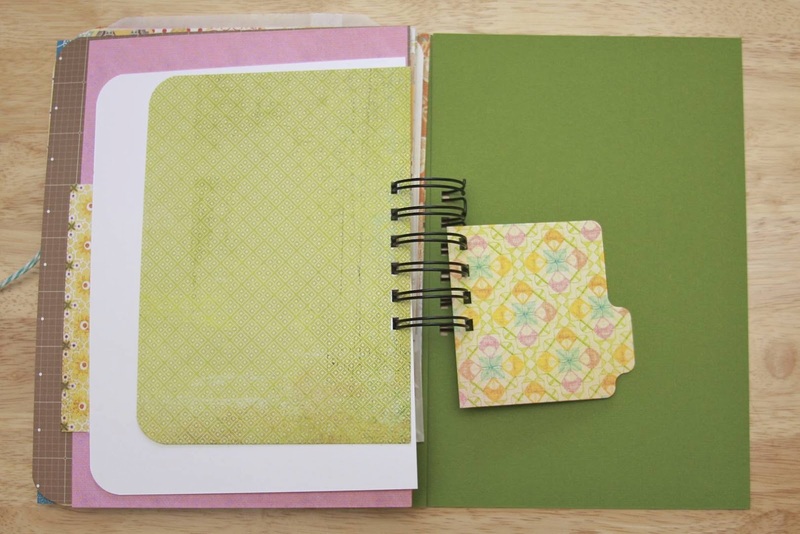 The green cardstock by Basic Grey has been circle punched to highlight one of the circles in the Studio Calico paper behind. Using the negative of a die cut shaped piece of cardstock, I scored and folded the paper before punching with the Bind-it-All. 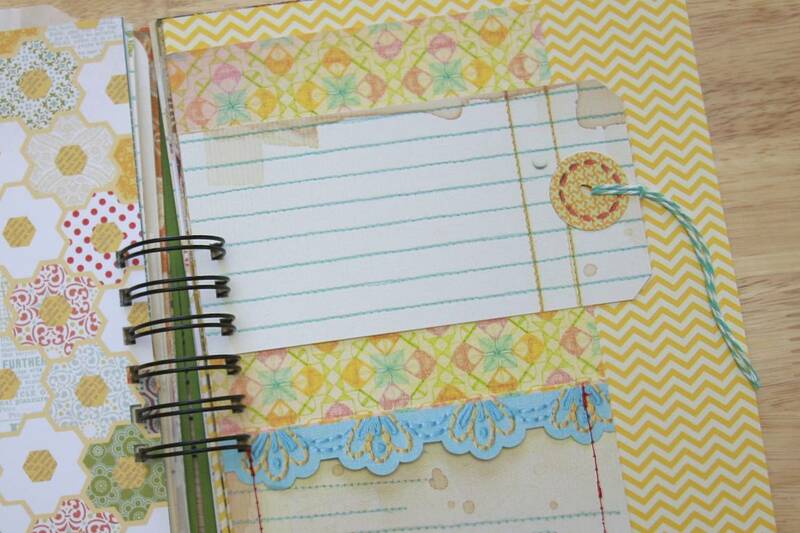 The last page of this mini book is mini indeed and seems a fitting ending to what will be our month of April. I look forward to seeing what awaits us and what I'll include to fill it up to make this journal as chunky and interactive as I can. 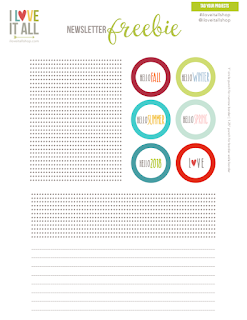 I'm all ready to begin documenting our everyday, ordinarily extraordinary life as we head into April. 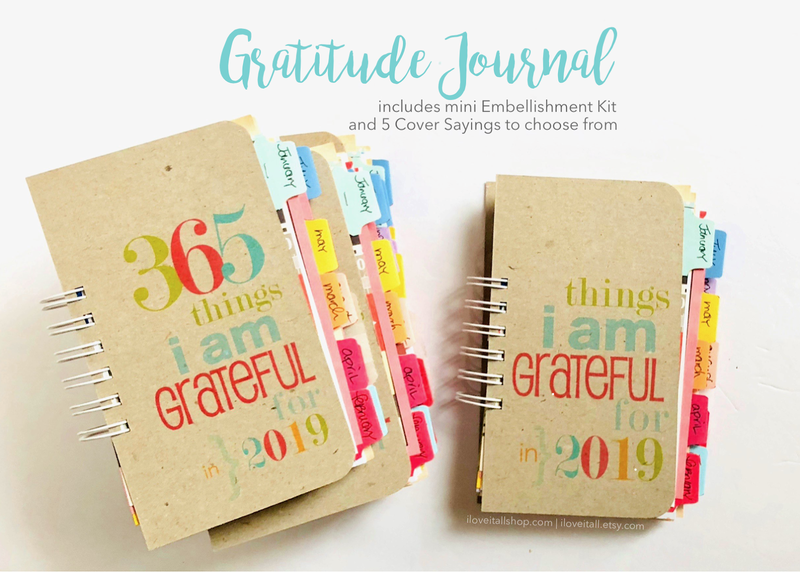 I do adore having a finished product so that each day I just have to add our thoughts on the day, a photo and some quick embellishments and move on to the next day. 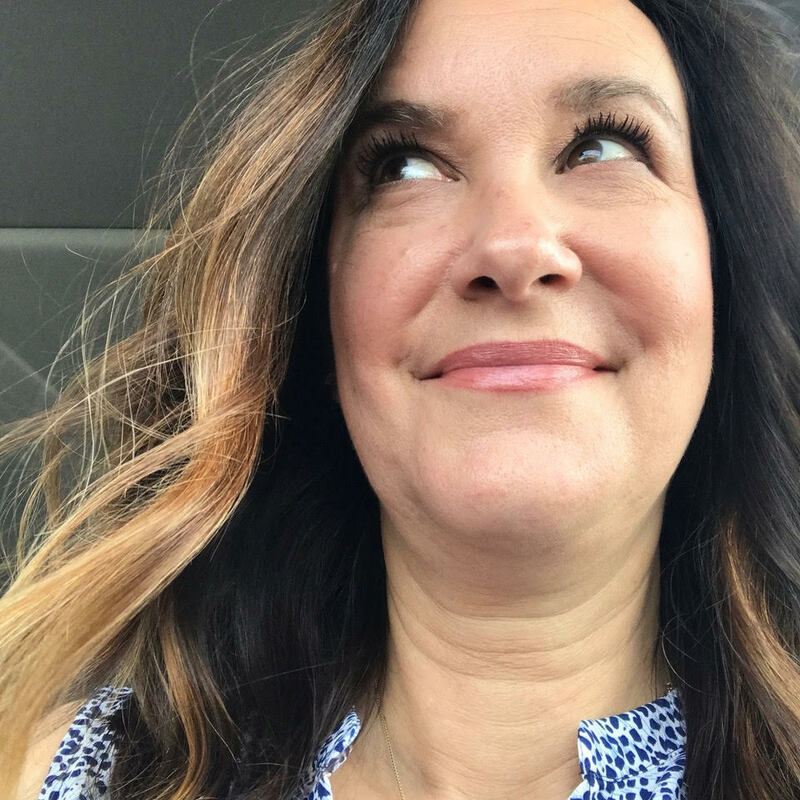 I'll be updating the blog with my Month in the Life mini throughout April...please do drop in! Awesome mini Monika!! I love the colors! 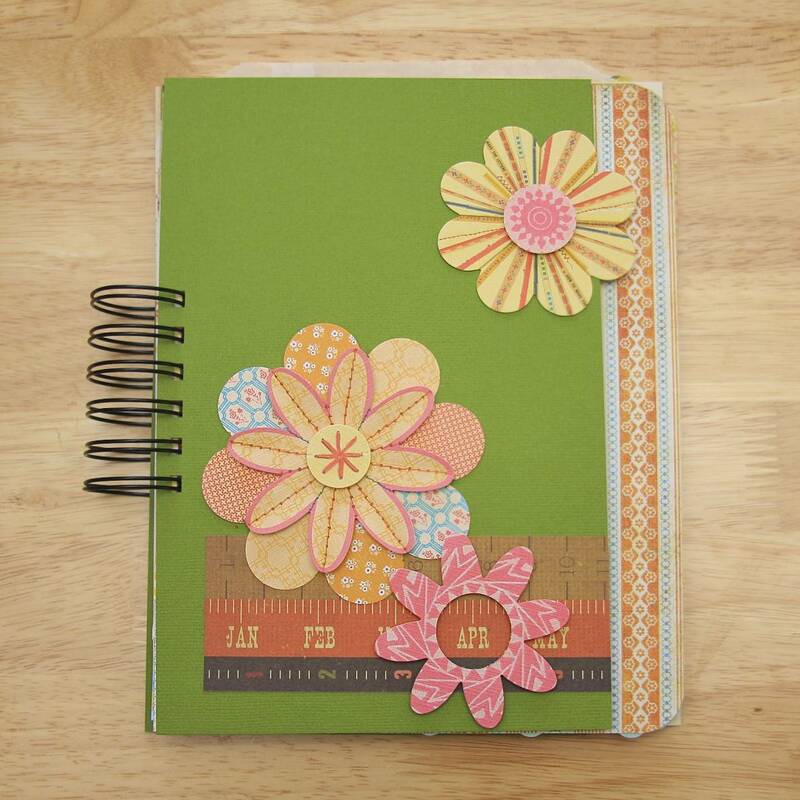 Love the mix of sizes and shapes, but of course those albums are your specialty!!! :D I hope that you will share it when it is finished! I love those Sassy flower! Greta mixing of patterns on this project. 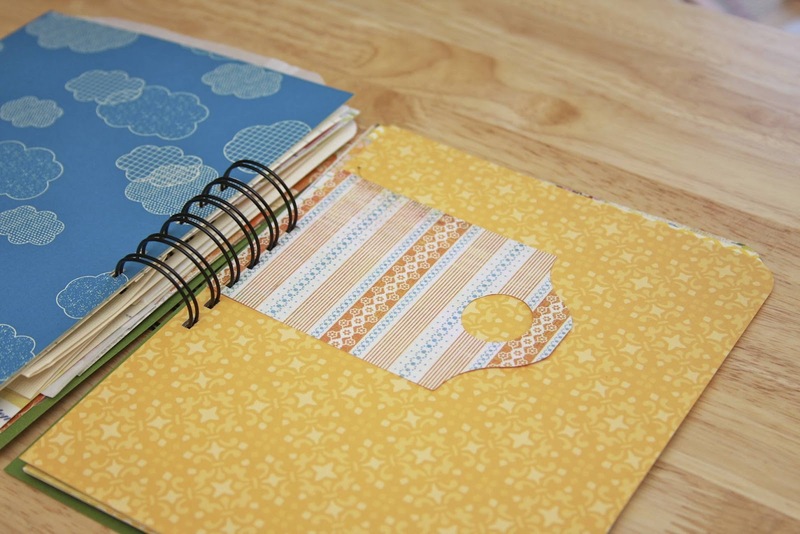 I think I'm going to spring for a binder tool- it makes the mini look so finished! That sounds awkward but I think you know what I mean right? :) It's beautiful!